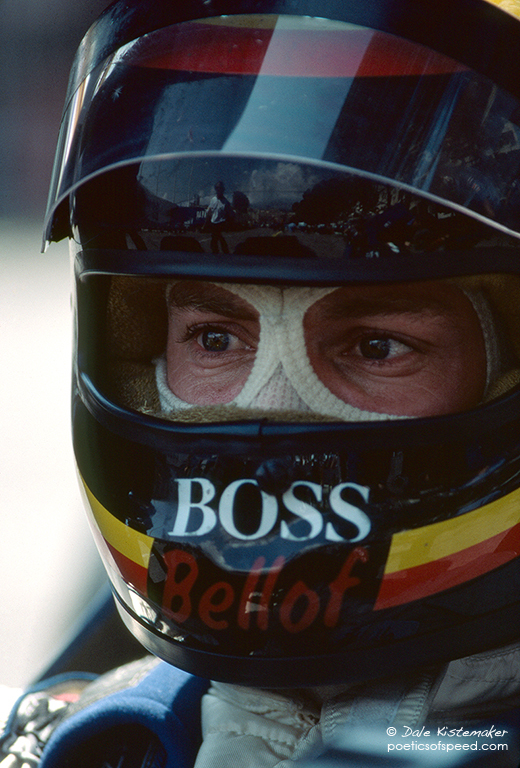 By the 1985 season Stefan Bellof was one of my favorite drivers to photograph. Although we never spoke he seemed comfortable with me working in the pits and he was great to watch on the race track. After the Detroit Grand Prix in June I was in the airport and noticed Stefan waiting for the same plane. I had my camera bag and he had a briefcase. After a brief moment of recognition we both boarded the plane without saying anything. I deeply regretted not starting a conversation but he seemed lost in concentration and I was lost for words. I vowed I would chat at the next opportunity. The Dutch Grand Prix in August of 1985 was the last F1 race I photographed and it turns out it was also his last too. On September 1 he was racing a Porsche 956 in the 1000km of Spa World Sportscar Championship in Spa, Belgium when he was involved in an accident at the fearsome Eau Rouge. He was dead before he reached the track hospital. He was 27 years old.